Buying your first home is exciting and daunting at once. It’s exciting to move off the rental treadmill into a place you can truly call your own. But it’s daunting to sign up for a loan you will be paying off for decades – not to mention the paperwork and the fees. You need someone who can make the process easier for you, while getting you the best possible deal. That is where Lifestyle Loans comes in. We are not a bank, so our priority isn’t to get your signature on the dotted line as quickly as possible. Instead, we will take the time to talk through your options, even showing you how to save years of repayments and thousands of dollars. Once we have found the most suitable loan from our extensive list of providers, we will help you fill out all the paperwork, including applying for the First Home Owner Grant if you are eligible. Finally, we will be here whenever you need us throughout the life of your home loan. If you ever need to discuss your situation, change your repayment details or refinance your home loan, just pick up the phone and call us. You will never have to deal with a bank call centre again! 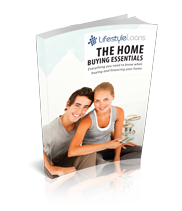 If you are a First Home Buyer, call us on (03) 9663 0009, or fill in an online form. One of our home loan experts will call you as soon as possible, or at your preferred time. Did you know you can also get the latest tips and home loan news by liking us on Facebook or following us on Twitter– we are always finding and posting what we think are the best mortgage and news article from around Australia and the world. 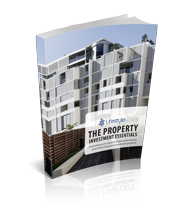 Property has long been an attractive choice for Australian investors – and for very good reason. Grab our latest guide and find out why. Throughout this handy guide you’ll find practical advice and helpful worksheets to steer you through the whole process – from research to settlement. Feel free to visit us at our office- we are always up for a chat.